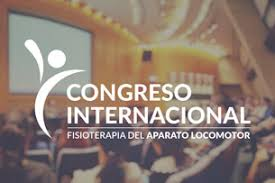 The next 25th and 26th of May will take place in Barcelona in the auditorium of the Hospital Vall de Hebrón the INTERNATIONAL CONGRESS of Physical Therapy of the Locomotor Apparatus. DyCare will have a commercial presence with a stand. The main topics will be: Latest trends, techniques and clinical concepts of the locomotor system, tools to improve the assessment, diagnosis and approach of objectives, give a current approach to concepts related to pain and promote the meeting and exchange of the International physiotherapy with professionals in a healthcare environment of reference. This year DyCare will be present at the IV National Physiotherapy Days organized by Activa Mutua the 10th and 11th of May. DyCare will be present with a booth and a workshop. The workshop called “Assessment of knee joint range with inertial sensors”, will show the measurement techniques used to record and evaluate the knee using the Lynx system. The next 29, 30 and 31 March will take place in Elche the II Congress of Sports and Musculoskeletal Physiotherapy organized by Miclinicatop and the Illustrious College of Physiotherapists of the Valencian Community. DyCare will have a commercial presence with a booth. During the conference at the DyCare booth, demonstrations of the Lynx system for joint evaluation will be carried out. The event will show the latest advances and updates of Sport and Musculoskeletal Physiotherapy. There will be sport Speakers references at national and international level from different disciplines. Sports physiotherapy requires the latest advances in technology to make more personalized treatments and therefore more efficient. DyCare will be present with a commercial stand at the 5th Edition Occupational Health and Public Safety congress that will be held on April 23rd and 24th in Berlin. Attending this event means to us an access a unique global network dedicated to research and prevention in occupational health, where we can meet and share the trends and future activities of the sector. DyCare will attend the Smile Congress (Shoulder Milan International Live Experience) that will take place from February 28th to March 2nd at Humanitas Congress Center (Rozanno, Milan). The Smile is a congress specialized in shoulder surgery with an important international participation. This is a great opportunity for DyCare, as we will present the Lynx device, capable of performing up to five different types of measurements for the shoulder. DyCare will attend another year the 4YFN (4 Years From Now) event, which will take place from February 25th to 27th at the Fira Barcelona Montjuïc (Hall 8). It is a meeting, within the Mobile World Congress (MWC), which connects startups, investors, public institutions and corporations. 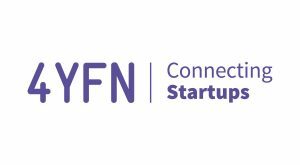 4YFN promotes unique initiatives for the growing tech startup community including events, networking activities and workshops.